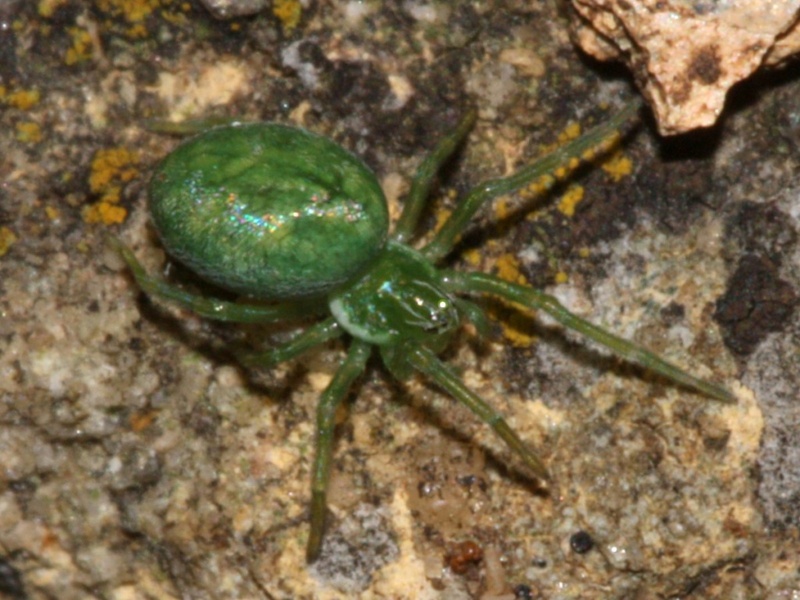 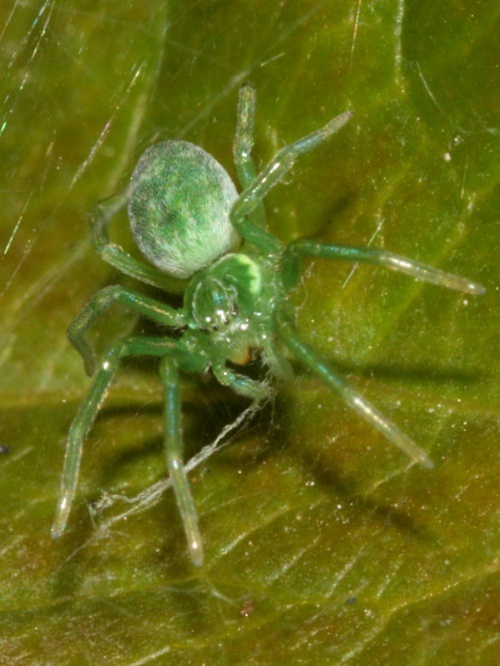 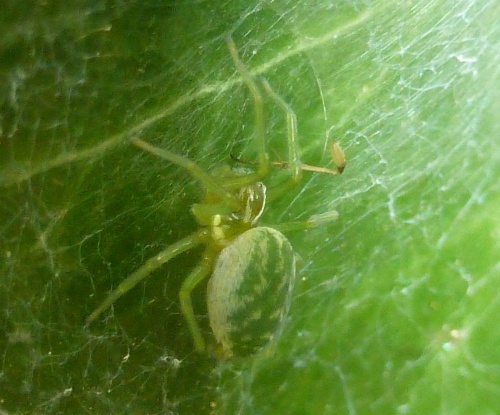 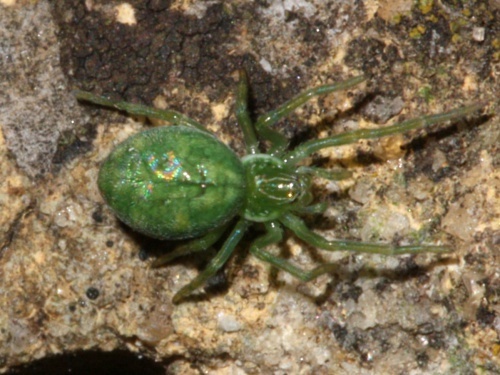 A small spider, up to 5 mm long with a beautiful, bright green abdomen that has a few white hairs giving a shiny, or frosted appearance. The legs are a yellowish-green. 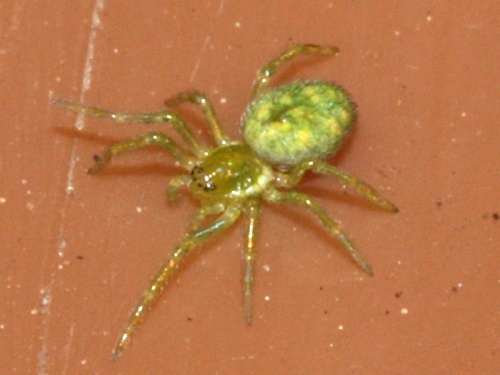 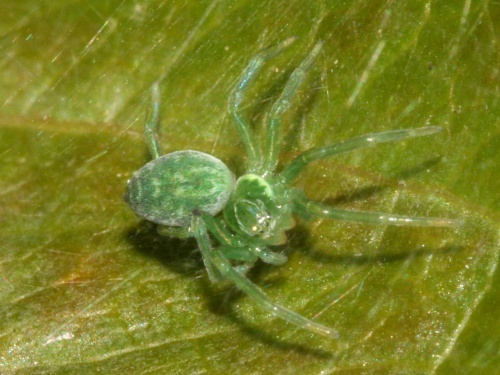 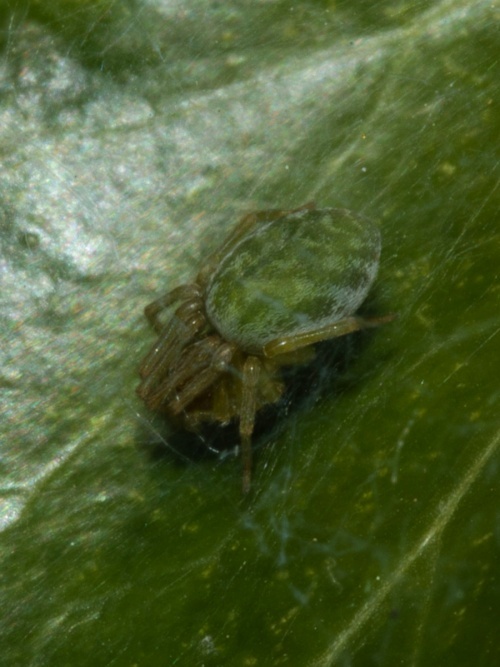 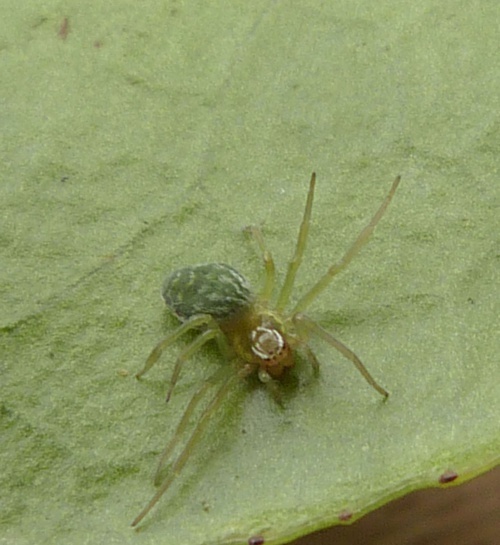 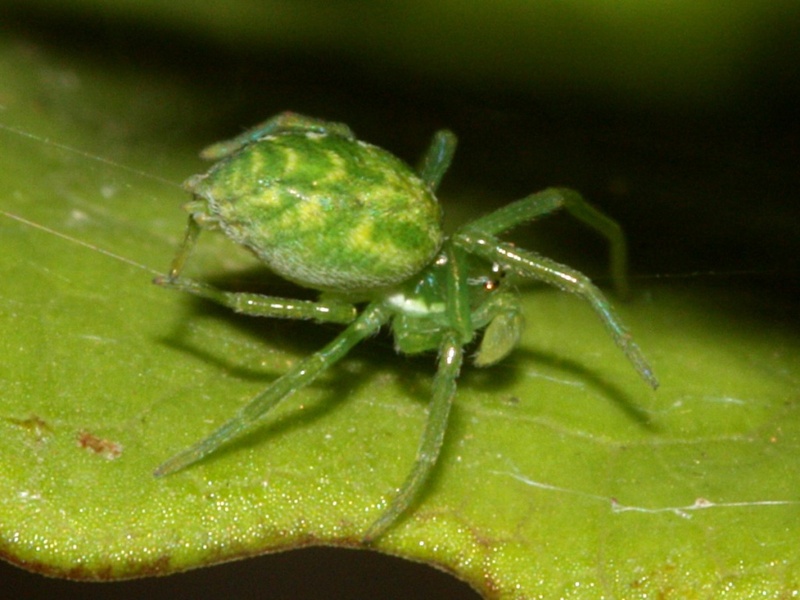 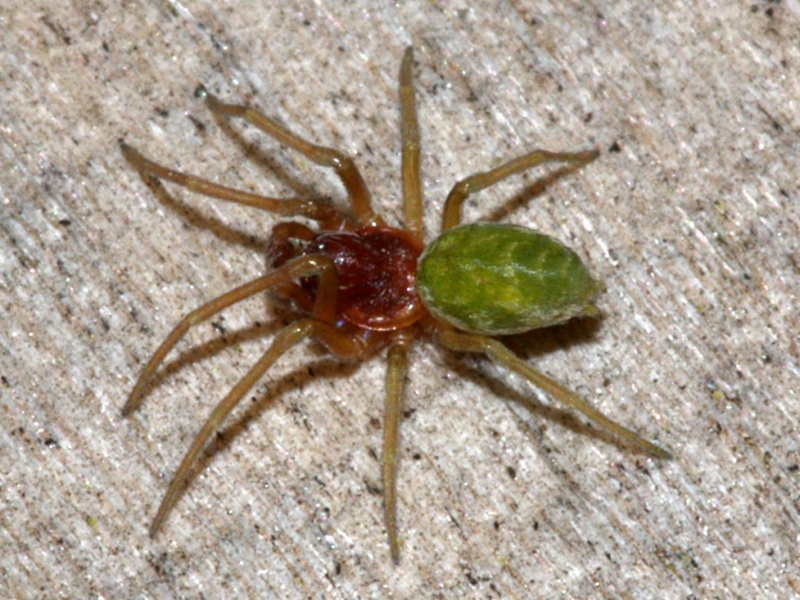 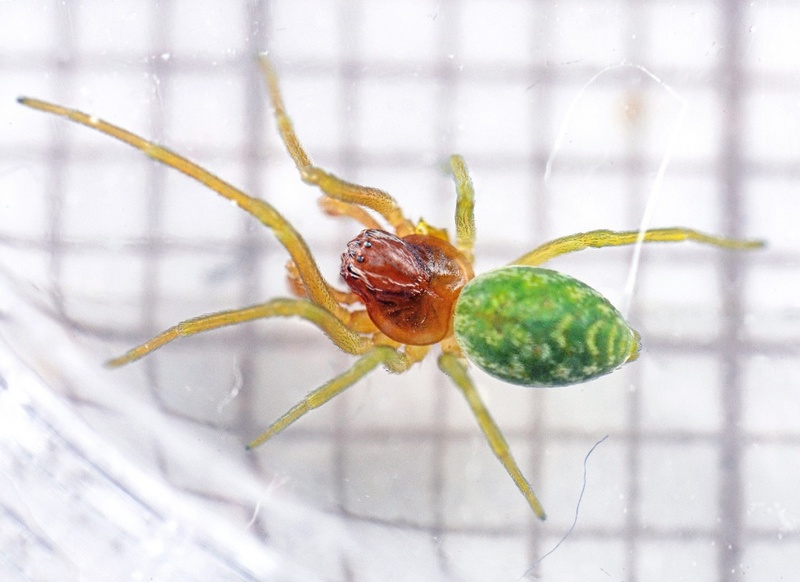 Females have a green head (cephalothorax), while adult males have a brown head. Often found on big leaves such as Lilac. Common in parks and gardens. 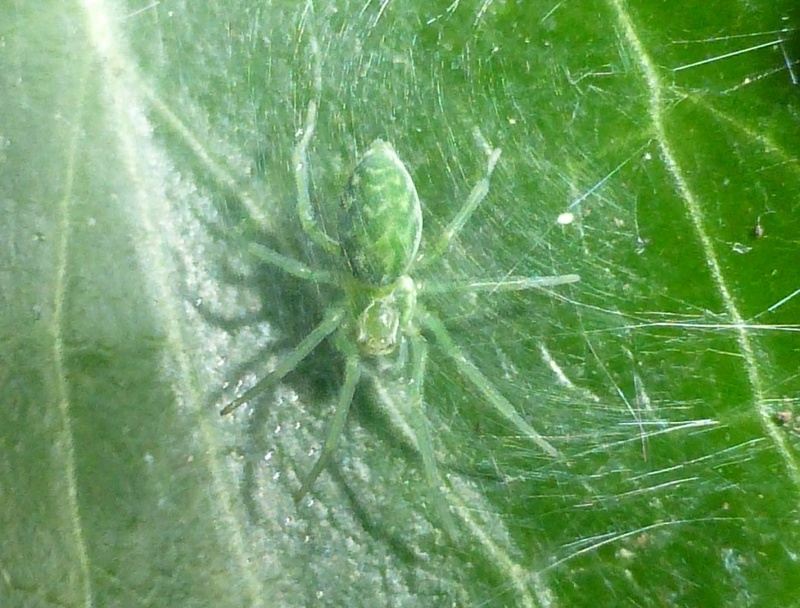 Summer to autumn. 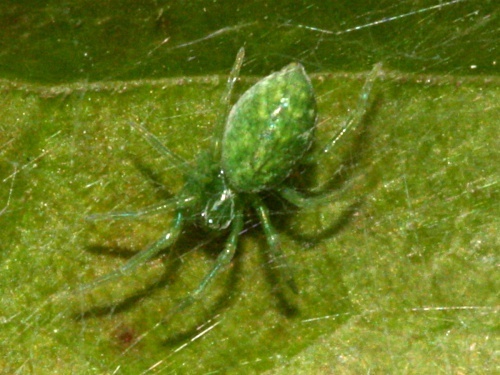 Old females may persist until spring. 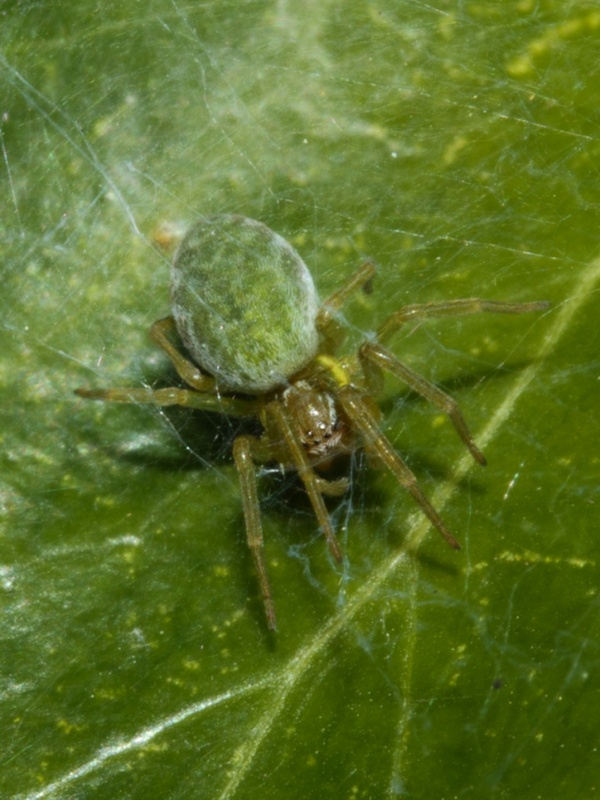 The spider catches insects, sometimes larger than itself, in its web, which it builds on the surface of leaves. The female hides the 7-millimetre long egg sac on a place distant from its retreat. 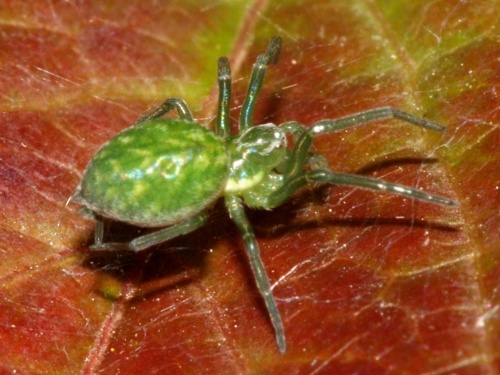 In Great Britain, until 1993, it was only found in London and the Home Counties. 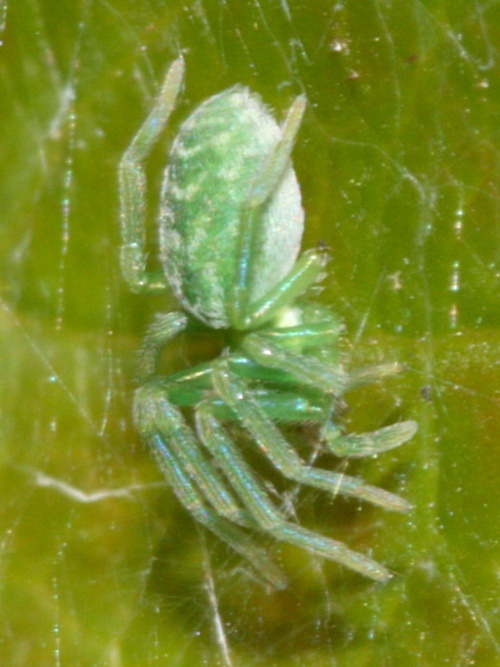 It may originally have been imported into Kew Gardens. Formerly rare in Leicestershire and Rutland but increasing. The Freemans Lock record of 25th May 2012 is believed to be the first record for VC55. 545 British records for this species to 2015.